With the aim to increase awareness and improve the image of our hotel and destination clients, Related regularly plans, initiates and coordinates partnerships with tier 1 media and well-known brands in the Nordic market. Recently, we organized a partnership with Denmark’s biggest food community, Gastromand, on behalf of Hotel Hafen Flensburg – a 4* hotel in Northern Germany. 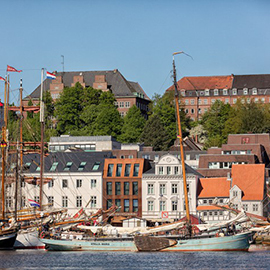 The objective was to increase awareness of Hotel Hafen Flensburg among foodies as the hotel is located right at the harbor in Flensburg – a city known for its rum history. Its location combined with the short driving distance from Denmark and the low prices compared to Denmark, makes the hotel an ideal choice for a nice weekend getaway. 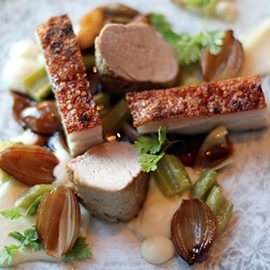 The collaboration with Gastromand included a press visit at Hotel Hafen Flensburg where the selected editor experienced the facilities of the hotel as well as dinner at the hotel’s restaurant Columbus. 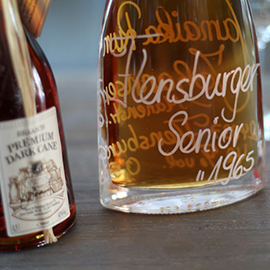 To experience the rum history of the town of Flensburg, a rum tasting was initiated at the hotel. As result of the visit, Gastromand wrote about the trip and the rum tasting on their website. Afterwards, Gastromand’s readers got the chance to win a similar weekend stay at Hotel Hafen Flensburg in a competition on Gastromand’s Facebook page. The competition on Facebook had an impressive reach exceeding 110,000 persons and received over 16,000 clicks, 4700 comments and 4300 likes.